Waves: Renaissance BassRenaissance Bass delivers richer, deeper lows that sound great on any system. Using Waves patented MaxxBass® psycho-acoustic technology, Renaissance Bass makes tightening up the low end easier than ever, thanks to its simple, i.. Waves: Renaissance ChannelA precision channel strip combining the finest equalization, compression, limiting, and gating in one convenient plugin, Renaissance Channel is a complete audio mixing chain that delivers unsurpassed flexibility and performa.. Waves: Renaissance CompressorFeaturing a streamlined, optimized interface, the Renaissance Compressor delivers classic warm compression and expansion utilizing technologies from our renowned C1 Parametric Compander and the legendary L1 Ultramaximizer.. Waves: Renaissance DeEsserNothing ruins a great vocal track like excess “ess” and “shh” sounds. The solution is Renaissance DeEsser, a state-of-the-art sibilance attenuator which reduces undesirable high frequencies while preserving the integrity of .. Waves: Renaissance EqualizerFeaturing real-time EQ graphing, vintage-modeled filter curves, and extended internal headroom, the Renaissance Equalizer is a versatile paragraphic EQ with warm, analog-style sound.Intuitive EQ plugin with real-time graph.. Waves: Renaissance MaxxIn the digital production environment, rich, warm sound is the holy grail. Renaissance Maxx delivers the warmth of vintage analog hardware with the flexibility and precision control of digital software. This is the classic Wave.. Waves: Renaissance ReverbWith rich reverb tails, an advanced early reflection system, and dual-band EQ and damping controls, Renaissance Reverb delivers unsurpassed sound and performance with extraordinary density and texture.12 reverb typesDe-correl.. Waves: Renaissance VoxA uniquely powerful dynamics processor optimized especially for vocal tracks, Renaissance Vox features simple streamlined controls for compression, gate/expansion, limiting, and level maximization.Compression, gating, limiting, .. Waves: Restoration BundleWith five intuitive state-of-the-art noise reduction tools, Restoration includes everything you need to revive damaged recordings. Whether you are working in post production, rejuvenating old vinyl and shellac discs, protecti.. Waves: RS56 Passive EQA passive equalizer with powerful sound-shaping capabilities, the RS56 Universal Tone Control was originally introduced in the early 1950s and used in Abbey Road Studios to prepare recordings for the record-lathe, as part of the.. Waves: S1 Stereo ImagerIdeal for stereo tracks as well as full mixes, the S1 is a unique and powerful set of tools that uses psycho-acoustic spatial imaging techniques to enhance and alter stereo separation.Shuffler, Imager, and MS Matrix components.. Waves: Scheps 73The Waves Scheps 73 is a colorful 3-band EQ modeled on the classic 1073 console's EQ and mic preamp module and developed in association with world-renowned mixing engineer Andrew Scheps (Adele, Red Hot Chili Peppers, Black Sabbath, La.. Waves: SD7 Pro Show BundleFeaturing dual licenses for dual engine mirroring support, SD7 Pro Show includes the entire Pro Show bundle, with over 100 SoundGrid-compatible plugins for live mixing with DiGiCo SD7 consoles.Over 100 SoundGrid®-compatible .. Waves: Signature Series Bass and DrumsIntroducing Waves Signature Series Bass & Drums Collection, with nine custom processing chains created in collaboration with Chris Lord-Alge (Green Day, Nickelback, Creed, Daughtry, All American Rejects, Sum .. Waves: Signature Series VocalsThe Waves Signature Series Vocal Collection brings together four custom vocal processing chains, designed by leading producer/engineers Chris Lord-Alge (Bruce Springsteen, Green Day, Foo Fighters), Eddie Kramer (Jimi Hen.. Waves: Silver BundleYou’re making music.Maybe you’ve got some tunes up online, and you’re starting to attract some real attention. Or your band is packing the clubs, and you’re ready to lay down some serious tracks—but you’re not ready to lay down se.. Waves: Sound Design SuiteWith over 30 plugins hand-picked especially for sound designers and post production facilities, the Waves Sound Design Suite is a comprehensive and cost-effective collection of audio plugins that provides all the essentials—w.. Waves: SoundShifterThe world’s most advanced pitch-shifting and time-shifting processor, SoundShifter lets you change keys, change tempos, change durations, and manipulate the time-pitch continuum with unmatched accuracy and clarity. For tonal transf.. Waves: SSL 4000 CollectionDeveloped under license from Solid State Logic, the SSL 4000 Collection includes four meticulously modeled plugins based on the legendary SSL 4000 Series: the SSL E-Channel, the SSL G-Master Buss Compressor, the SSL G-Equali.. Waves: Studio Classics CollectionWhen it comes to audio hardware modeling, Waves sets the standard to which others aspire. Our plugins don’t just mimic components and circuit schematics; they recreate every last nuance of actual hardware behavior.Now.. Waves: SuperTapInspired by the legacy of the classic analog tape delays, SuperTap’s extensive modulation, panning, and filter options give it unprecedented processing power. Sync to your host tempo or tap it in; SuperTap gets you into the right groov.. Waves: Tape, Tubes & TransistorsDeveloped in association with Eddie Kramer, Tape, Tubes & Transistors features three meticulously-modeled vintage plugins: Kramer Master Tape, HLS Channel, and PIE Compressor. Together, they recreate Eddie’s go.. Waves: The King's MicrophonesUsed exclusively by the royal family for speeches on momentous occasions, each of these three priceless microphones dating back to the 1920s and 1930s was tailored and tuned especially for its specific user: King George V.. Waves: Tony Maserati Signature SeriesBlack Eyed Peas. Beyoncé. Jay-Z. Usher. John Legend. Alicia Keys. Jason Mraz. Macy Grey. Mary J. Blige. Rob Thomas. Sting. David Bowie. Tupac Shakur. Notorious B.I.G. They’ve all turned to Tony Maserati for h.. Waves: Trans-XPerfect for breathing new life into drum loops, accentuating or attenuating instrumental attacks, and modifying room acoustics, Trans-X is a revolutionary processor that shapes transients and revitalizes individual tracks and full mixes.. Waves: Transform BundleYou want to push the envelope. Take creative control. And twist your sound inside out like never before. You need Transform, five state-of-the-art processors that let you stretch and manipulate time, pitch, dimension, and punch.. Waves: TrueVerbFeaturing a flexible graphic interface and powerful editing parameters, TrueVerb combines reverb with an Early Reflections simulator to create extraordinarily natural-sounding virtual acoustic spaces.Thru and send modesIndependent and .. Waves: UltraPitchWhen you need to transpose, harmonize, modulate, and transform your sound, UltraPitch is the answer. With factory presets including essential classic setups, UltraPitch is great for thick stereo chorusing, doubling, parallel harmonie.. Waves: UM225 / UM226From music to movie soundtracks and beyond, audio engineers are upmixing all sorts of content from stereo to surround, to capture the excitement of today’s full, multispeaker environments. And when the original multi-track session.. Waves: V-CompUsing time constants and a fixed nominal output gain, the V-Comp recreates the rich lush buss sound of the vintage 2254 hardware compressor. This super-responsive dynamics processor packs a recognizable musical punch heard on countless h.. Waves: V-EQ3Combining the best characteristics from two of the world’s most desirable console modules, the 1066 and 1073, this 3-Band EQ, with its classic cutoff points and adjustable High Pass Filter, is ideal for mixing and mastering. With the V-EQ.. Waves: V-EQ4Modeled on the highly sought-after 1081 console module, this classic 4-band equalizer features detailed high frequency boosts plus High Pass and Low Pass Filters. The V-EQ4 captures the characteristic sound of vintage analog gear while pr.. Waves: V-Series2254. 1066. 1073. 1081.To most people, they’re just numbers.To audio professionals, they’re hardware legends.Presenting Waves V-Series: Three state-of-the-art Vintage models that capture the sound of the consoles found in the world’s m.. Waves: Video Sound SuiteProfessional video editors know that first impressions are lasting impressions. With producers and clients focused on every frame, even your rough cuts have to win them over. That means when you hit play, what comes out of you.. Waves: Vitamin Sonic EnhancerWaves Vitamin is a multiband harmonic enhancer and tone-shaping plugin that can make any track sound powerful and full of spark by mixing an enriched version with the original signal.With its zero-latency processing, Vita.. Waves: Vocal BundleAsk any producer or engineer. They’ll tell you the most important part of any record is the vocal. It’s got to be powerful. It’s got to be commanding. It’s got to be just right. Waves Vocal bundle is the ultimate vocal toolkit, mad.. Waves: Vocal RiderVocal Rider is the first of Waves pioneering new series of Mix tools. Simply put, Vocal Rider rides the levels of vocal tracks, automatically.Instead of manually riding the physical mixing console fader, or tediously drawing in each.. Waves: W43 Noise Reduction PluginAmbient noise: Hiss. Hum. Traffic. Wind. Air conditioning. They can all wreak havoc on dialog tracks. With Waves W43, they’re a thing of the past.Inspired by the renowned CAT 43, the W43 noise reduction plugin builds .. Waves: Waves TuneThe singer has just wrapped up an amazing take. The phrasing, the emotion, the delivery, it’s all there. But there are notes you’d like to change, and others that need to be fixed. You want perfect pitch transformation. You want prec.. 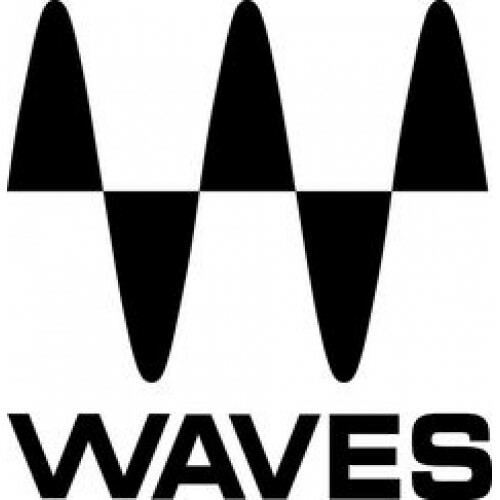 Waves: Waves Tune LTWaves Tune LT is a special edition of Waves Tune which is available as part of selected bundles or separately as a single plugin. It delivers the same great sound as Waves Tune, using an intuitive interface and simplified controls.. Waves: WLM Plus Loudness MeterThe Waves WLM Plus Loudness Meter plugin provides precision loudness measurement, metering, correction and adjustment tools for broadcast, movie trailers, games, packaged media and more. Fully compliant with all current .. Waves: WNS Noise SuppressorWNS Waves Noise Suppressor is a real-time noise reduction plugin for cleaning dialog tracks. Unsurpassed for noise suppression on both indoor and location recordings with constant or modulating environment noise, WNS was pr.. Waves: X-ClickIdeal for restoring vintage vinyl and shellac records, X-Click removes strong transient noise like clicks, spikes, switching noise, and digital crosstalk while preserving the sonic integrity of your source material.Visual scope displays.. Waves: X-CrackleX-Crackle employs the latest psycho-acoustic algorithms to remove crackles and surface noise from vinyl records and damaged recordings, with results equal to or better than more expensive dedicated hardware solutions.Audio and differe.. Waves: X-FDBKX-FDBK identifies the precise frequencies that cause feedback and surgically cuts them, dramatically shortening the setup time of monitors and PA speakers.X-FDBK is the first plugin ever to provide a complete automatic feedback suppressi.. Waves: X-HumFeaturing a friendly interface that’s a snap to learn and use, X-Hum uses eight harmonically linked notch filters to attenuate ground loop hum, DC offset, and low-frequency rumble caused by turntables and tape machines.8 Harmonic notch fi.. Waves: X-NoiseWith simple, intuitive controls similar to those found on traditional dynamics processors, X-Noise is perfect for removing tape hiss as well as air conditioner and computer noise from individual tracks, complete mixes, or damaged record.. Waves: Z-NoiseHiss happens. So does ground hum, computer noise, and any number of unwanted sonic artifacts. Bring on Z-Noise, and hear them disappear. Featuring real-time noise profiling, innovative transient preservation, and increased low-frequency..